Fully handmade vintage calf leather, hand stitches and hand painted vintage effect. This Nubuck calf leather is soft but durable with a retro vintage effect done by hand, producing a slightly sanded surface. Top layer & flip over side is using the same leather. 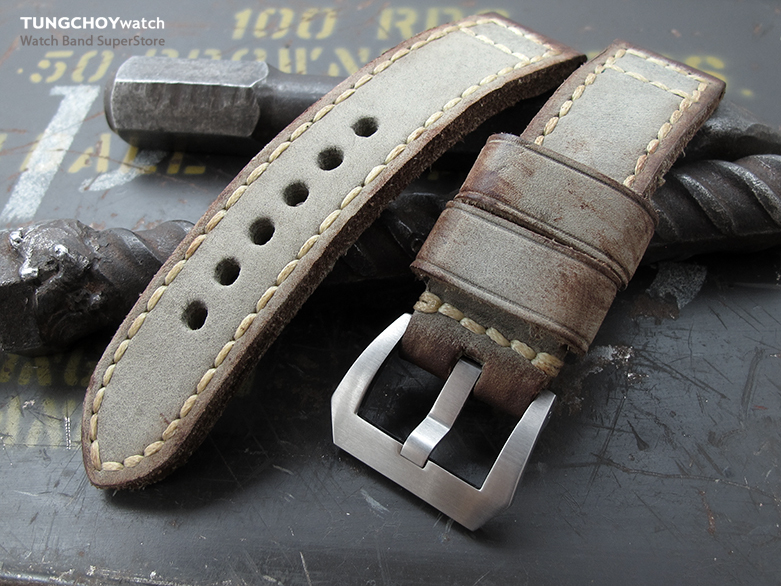 This is a premium quality replacement strap definitely ideal for luxury watches such as IWC Big Pilot or Jaeger-LeCoultre.